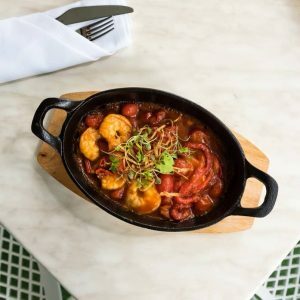 Sautéed tiger prawns in a spicy napoli sauce with fresh tomato and roast capsicum served with toasted turkish bread. 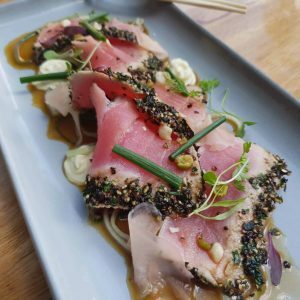 Pan-seared tuna rolled in our fresh herb and black pepper crust, served on pickled cucumber ribbons and complimented with ponzu dressing and a home-made wasabi ailoi. 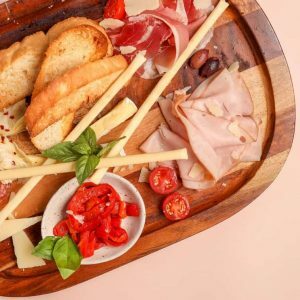 A selection of Australian cheeses served with Linguirian and Sicilian olives and cured meats accompanied by a light focaccia, roasted capsicums, and a selection of handpicked antipasti delights. 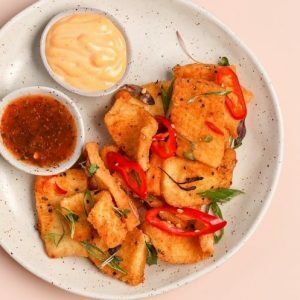 Tender pieces coated in a crispy dusting of salt and pepper spice served with a nanjim and sriracha mayonnaise for dipping. 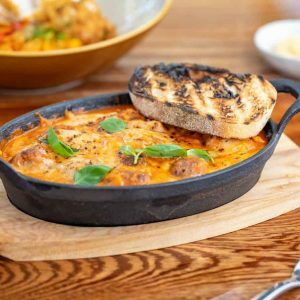 Tender oven baked meatballs served in a cast iron skillet, slowly cooked in a rich cherry tomoto sauce topped with melted mozzarella and freshly torn basil. Served with toasted turkish bread. 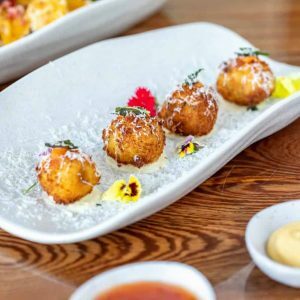 Sweet roasted pumpkin with goat’s cheese and sage, hand moulded with fragrant carnaroli rice to create a double crumbed panko arancini. Served with a light lemon fraiche. 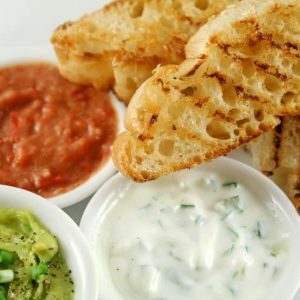 Served with a trio of dips - ask your waitress for this week's flavours! 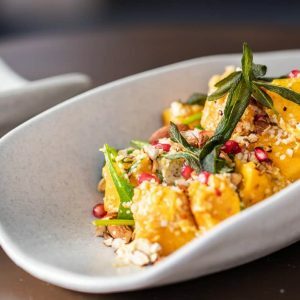 Roasted pumpkin tossed with loose baby spinach leaves, fluffy cous cous, pomegranate seed and freshly torn mint complemented with a scraping of hummus. Finished with scattered roasted hazelnuts and a drizzling of lemon maple dressing. 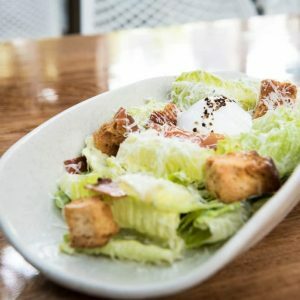 The White Rhino’s take on the caesar salad – crunchy baby gem lettuce with shaved parmesan, crispy bacon and egg, tossed with toasted croutons and drizzled with a basil and lime aioli. 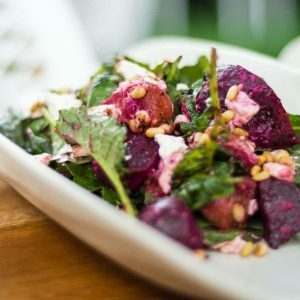 Roasted baby beetroot tossed with kale, crumbled persian fetta, toasted pine nuts, dukkah and finished with a balsamic glaze. 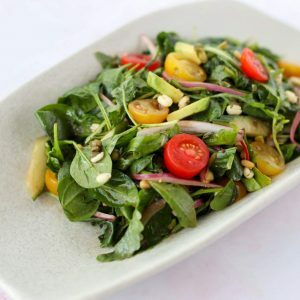 A combination of leafy greens tossed with cherry tomatoes, cucumber and spanish onion, finished with half an avocado, toasted pine nuts and balsamic vinaigrette. 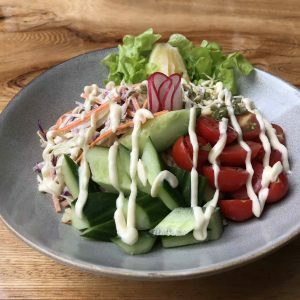 This tasty modern salad is sure to delight with asian slaw, mung beans, cherry tomatoes, radish, cucumber on a base of brown rice then garnished with shallots and chilli and topped with wasabi mayo. All burgers come with crunchy thick cut chips (may exclude specials). 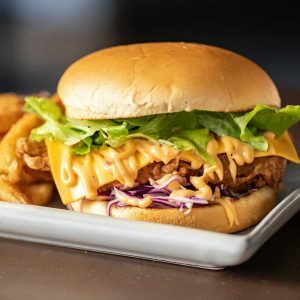 Crunchy on the outside and tender in the middle, our southern style buttermilk fried chicken is served on a toasted brioche bun filled with sweet red cabbage and butter lettuce. The burger is finished with cheese and a mild peri-peri dressing. 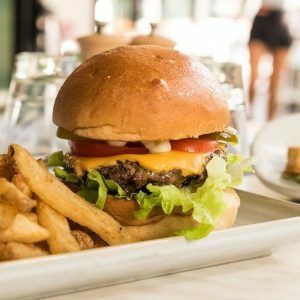 A tender, handmade wagyu beef patty on a toasted brioche bun, with butter lettuce, creamy double melt cheese, sweet pickles and tomato relish. 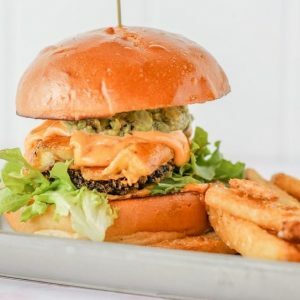 Chargrilled halloumi slices with smashed avocado and a panko crumbed mushroom on a toasted brioche bun. 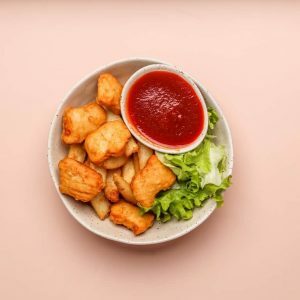 This vegetarian delight is drizzled with a delicious chipotle sauce. 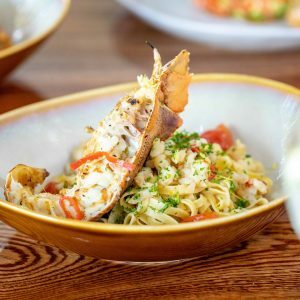 Chilli and garlic moreton bay bugs (150g) with sweet cherry tomatoes tossed in a brandy and seafood stock reduction, served with fresh linguine, and freshly grated parmesan cheese. 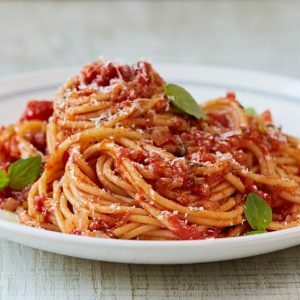 12 hour slow cooked wagyu beef, stirred through a rich signature tomato sauce. 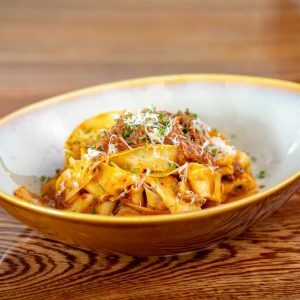 Lightly tossed in our pappardelle pasta finished with freshly grated parmesan cheese. 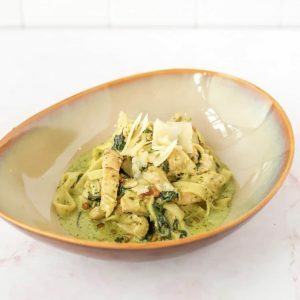 Tender grilled chicken breast pan tossed with pesto and our signature creamy sauce and topped with shaved parmesan. 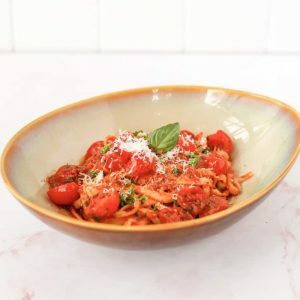 A simple but classic dish – fresh linguine tossed through a silky rich tomato sauce, cooked low and slow with garlic, olive oil and chilli dusted with shaved parmesan cheese to serve. 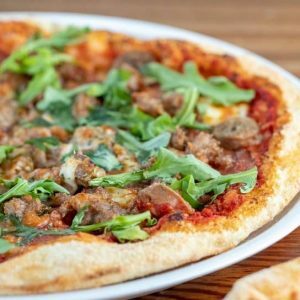 Pork and fennel sausage scattered and torn, mildly spiced salami, fresh fior di latte, on a classic tomato base, sprinkled with fresh wild rocket. 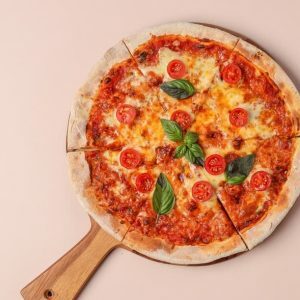 A subtle but sweet napoli sauce topped with oven-blistered cherry tomatoes, smothered in melted fior di latte and finished with freshly torn basil to create a perfectly balanced bite. 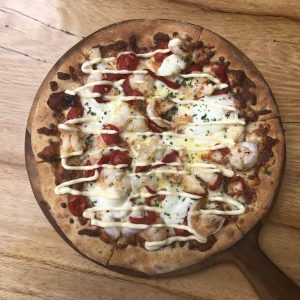 Moreton bay bug tails & tiger prawns marinated in chilli and garlic and flambéed in premium white wine, laid on a White Rhino sauce, buffalo mozzarella, capsicum and drizzled with a sharp yuzu aioli. 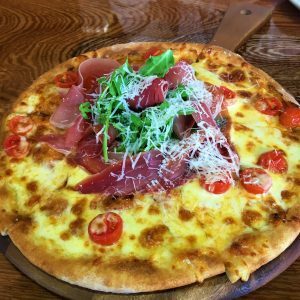 Thinly shaved prosciutto with sweet blistered cherry tomato halves, fresh fior de latte and wild rocket topped with a sharp parmesan cheese and a drizzle of extra virgin olive oil to finish. 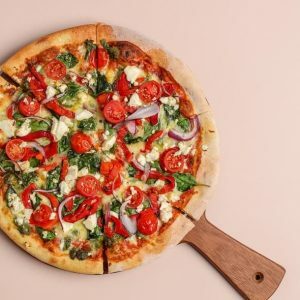 This delightfully light and fresh pizza is started with a drizzle of pesto over a napoli sauce base, then topped with buffalo mozzarella, cherry tomatos, spanish onion, spinach and a scattering of fetta to finish. Not your usual parmy! 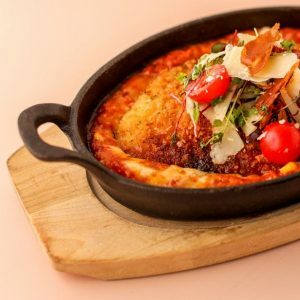 Crispy chicken schnitzel oven baked with sweetcorn and napoli sauce, topped with mozzarella, parmesan cheese, cherry tomatoes and crispy prosciutto. 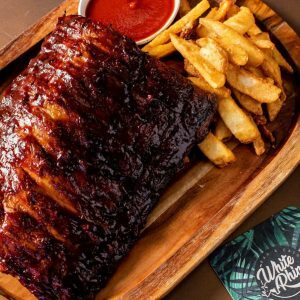 Succulent White Rhino pork ribs, grilled and finished over an open flame. Basted in our signature caramelised BBQ sauce and served with thick cut chips. 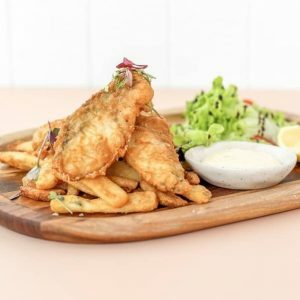 A Surfers Paradise staple - fish of the day in a light but crispy tempura batter served with thick cut chips, chargrilled lemon wedges, and a side of smokey tartare sauce. 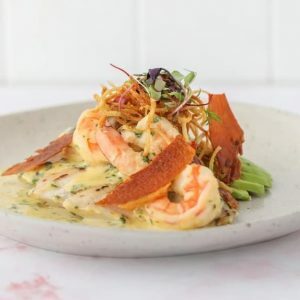 Tender chargrilled chicken breast, served with sautéed king prawns with a garlic cream sauce and served with fresh avocado and crispy prosciutto. 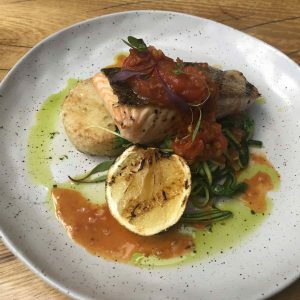 Chargrilled salmon fillet served on a parmesan crusted potato pave with zucchini spaghetti, wilted spinach and our homemade tomato relish. 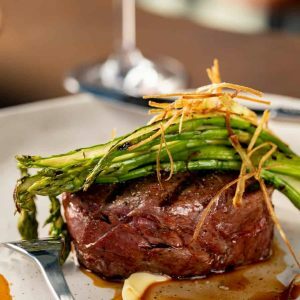 Our steaks are char-grilled to your liking, served with asparagus, smeared pumpkin puree and fried leeks. 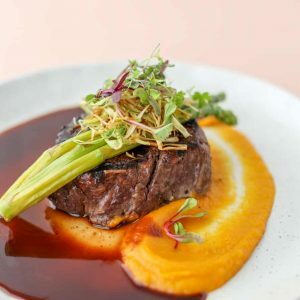 Our grass fed eye fillet steak is from the northern rivers and warwick regions, hand cut from the centre of a whole tenderloin. Our grain fed sirloin steak is an Australian favourite, lean, juicy and full of flavour. 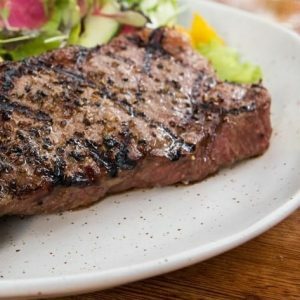 100 day grain fed rib eye steak raised predominately in the darling and southern downs region. 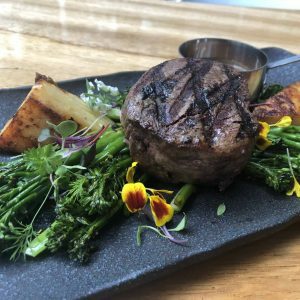 Our wagyu eye fillet is aged to perfection and grain fed for 350 days, served with potato gratin and charred broccolini. We highly recommend you pair it with a cabernet sauvignon to accentuate the flavours. 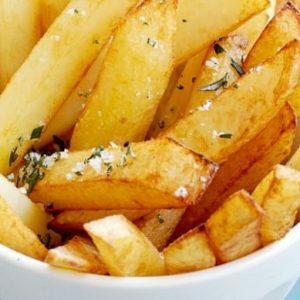 Crunchy rosemary salted thick cut chips served with a sweet roasted garlic mayonnaise. 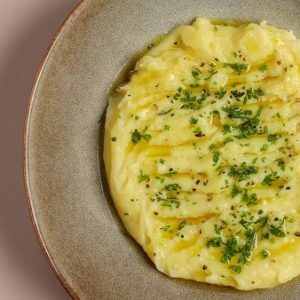 Potatoes whipped with truffle oil, butter and a sprinkling of chives. 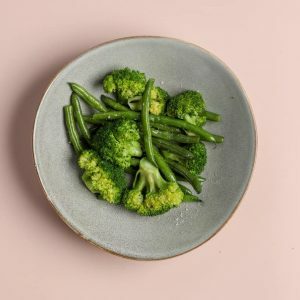 Al-dente green beans and broccoli, steamed then sautéed, and finally tossed with garlic thyme butter. 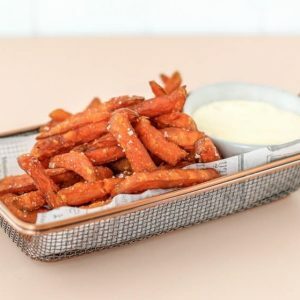 Sweet potato fries, salted and served with roasted garlic aioli. 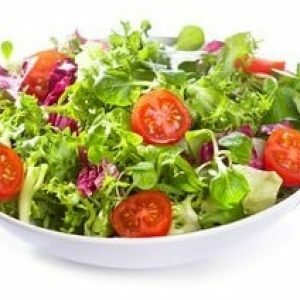 Mixed leaves tossed with cherry tomatoes, cucumber and spanish onion finished with a green goddess dressing. If you love salted caramel with a crunch you need to try this dessert. 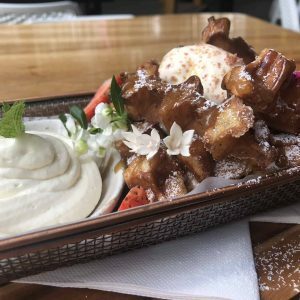 Warm Belgian waffle fries drizzled with caramel sauce and berries, topped with salted caramel ice cream and some extra whipped cream on the side. For the chocolate lovers, this dessert will surely please. 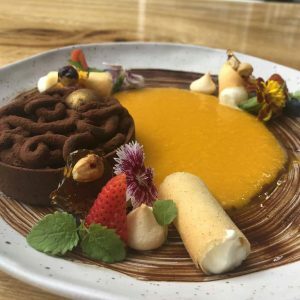 Our chocolate tart filled with chocolate mousse and truffle shell comes perfectly matched with mango compote, fresh mint cream filled tuiles and fresh berries. Do you like surprises, then try White Rhino’s favourite. 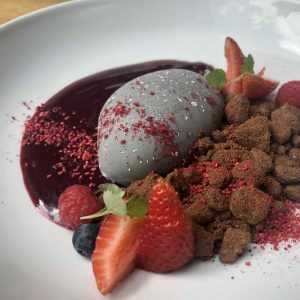 With a crispy chocolate outside layer, inside is a decadent caramel hazelnut cake, wrapped in coffee mousse and served with a berry coulis and chocolate soil on the side. 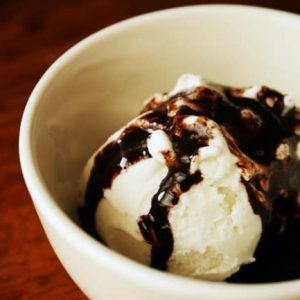 Topped with chocolate or strawberry sauce. 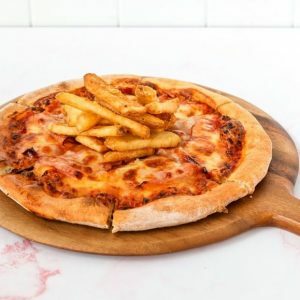 House made pizza creation served on a classic crust topped with hot chips, sausage and cheese. Slow cooked beef stirred through a signature tomato sauce. Crispy battered fish pieces served with thick cut chips and aioli. 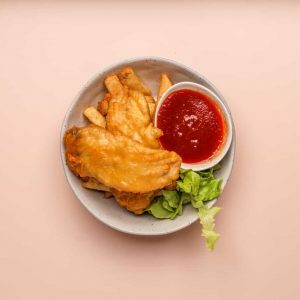 Golden crunchy nuggets served with thick cut chips and tomato sauce. 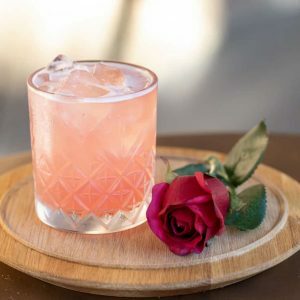 The Guava Club is a delicious mix of Gordons Dry Gin, lemon and you guessed it. Guava! We’ve put our touch to the classic ‘Clover Club’ turning it into a more refreshing and light ‘summer’ drink using fresh Guava juice, making it irresistible to stop at one. Add a bit of spice to your life! We take the traditional margarita and spice it up with chilli and kafir lime leaf. Perfectly delicious! 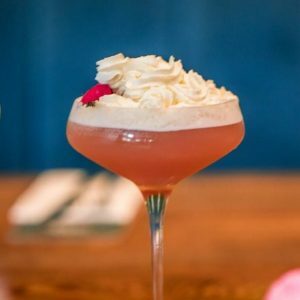 Our whipped Frenchman is a twist on the famous French Martini with the smooth taste of Chambord and a tingle of lemon, tied together with a creamy top, so good it melts in your mouth. 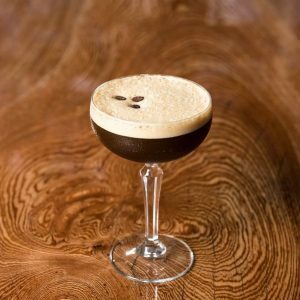 Gold Coast’s hottest new Espresso Martini! We take delicious hazelnut and shake it through our classic espresso and turn this beautiful martini in to the Nutty Rhino! She warned him not to be deceived by appearances, for beauty is found within. The sweet creations of cranberry, strawberry and apple with a twist of our in house infused peach Ketel One Vodka, will win over your taste buds. 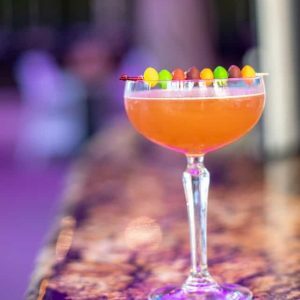 Charlie Skittle is our twist of the classic cocktail ‘Charlie Chaplin’. Whilst tasting the rainbow, we’ve glamorised Charlie with a bit of a sparkle, the fruity punch of apricot brandy and the citrus sweet sloe berries. 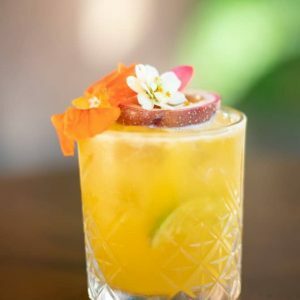 Welcome to our twist of the classic caipirinha. 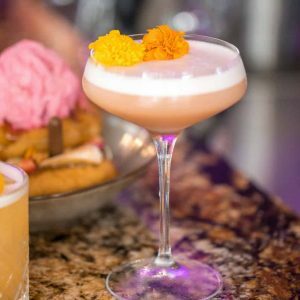 Staying traditional with the funky taste of cachaça, the sweet taste of passionfruit, and just the right amount of vanilla, combined with delicious natural ingredients, and you’ve got yourself a Spanish Flower. 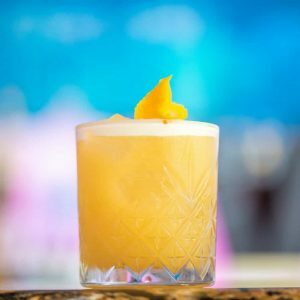 Our Napoleon Sour is a modern twist with the time worn liqueur Napoleon Mandarin. We have turned this liqueur dating back to 1892; into a modern sour. The Napoleon Mandarin is a stolen recipe from Emperor Napoleon from France himself. Consisting of 10 year old cognac with a maceration of mandarins from Sicily, we have now transformed into our very own modern classic. 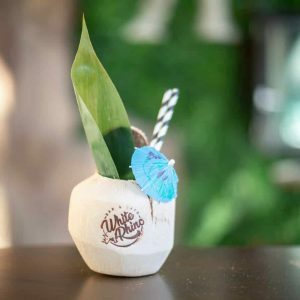 This White Rhino classic is a twist of the traditional Pina Colada. We have incorporated our secret White Rhino spices and flavourings to present to you a smooth tropical getaway for your taste buds, with the taste of coconut and pineapple, it is sure to hit the spot.